Financial literacy is absolutely critical and having exposure to investing at a young age is extraordinarily helpful. Just imagine if in every household that the same value that was placed on reading was also placed on financial literacy. 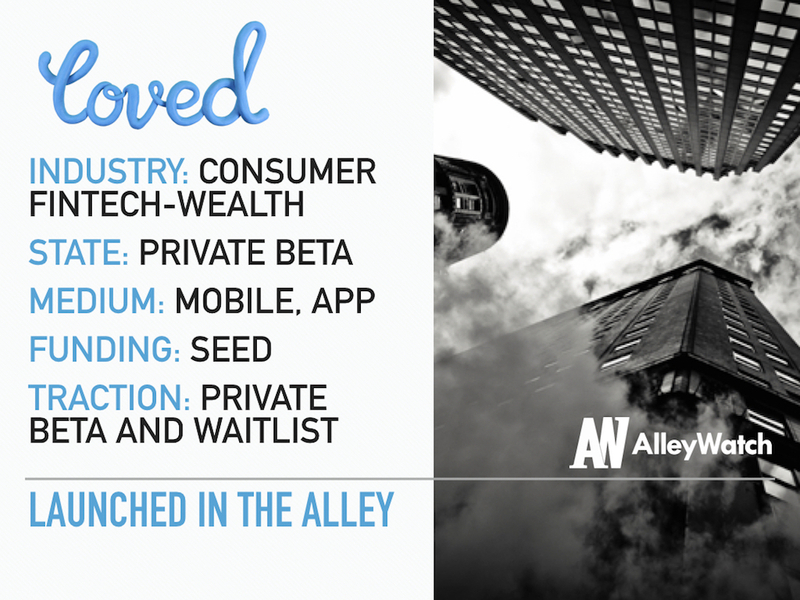 Loved is an NYC startup that is doing that through its app that allows children to invest with their parents. Due to its technology and simple onboarding process, parents don’t have to be experts at investing to use Loved’s services. With a $5 minimum investment, a world of opportunity and learning is unlocked as kids learn about industries, companies, and investing. 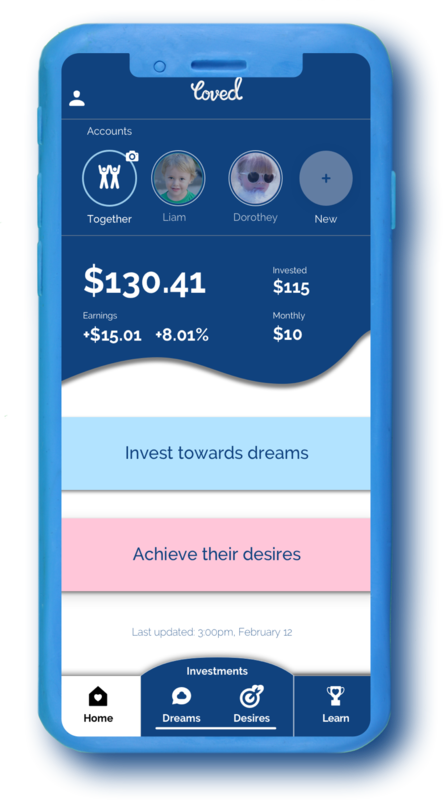 AlleyWatch sat down with CEO and founder David Hannes to learn why creating an app that sparks financial curiosity and empower children is so important. Tell us about Loved’s service. Loved is kids’ dreams, invested. Using our app parents can invest with their kids into their own custodial investment accounts. It’s really quick and simple to get started with a minimum investment of just $5. We’ve made it extremely simple for parents to do this with their kids, even if they’re not experts themselves. Your kids get to learn about their investments with weekly lessons to build their expertise across industries, companies and success stories. All whilst they build wealth to unlock new opportunities. Less than 20% of parents use college saving plans and it’s not surprising – most parents’ faces glaze over when you mention 5 -2 – 9. We did a lot of research and it told us parents want to be more engaged around their kids’ future, they’d like to have their kids involved too and they’d hope their kids could learn lessons for their future whilst doing so. This isn’t a complex trading platform nor is it a set and forget college fund. Parents get the flexibility to invest with a portfolio designed around their child. What market is Loved attacking and how big is it? Approximately 4M children are born each year, with 72M children under the age of 18. We’re specifically focused on attracting those saving for their kids using low return products like bank accounts, those that haven’t got around to doing anything at all and those that want to supplement an existing product with something more educational. We charge $1 per month per child custodial account, until their balance hits $5K when we charge 0.25% per year. I started trading with my dad when I was very young. I loved it. We spoke about the companies, industries, and leaders behind the businesses we were investing in. Not every child has these early stage learning opportunities, but there’s no reason why they shouldn’t especially when the right guardrails are in place. We believe learning investing and how companies and people make money in different ways, help set kids up for more successful lives. The faster you ski the more you pitch! Never want to miss it, a great excuse to work whilst enjoying the slopes. We are focused on our private beta customer at this stage. We’re also moving from stealth mode, to start building momentum for our waitlist as we progress to a public launch. Once we are publicly available, it’s all about achieving the acquisition and retention metrics to scale. Balance your life. One can only be so creative whilst staring down at a laptop. And one more… for every visionary add a non-tech ops guy! Ray Dalio – one of the most successful hedge fund managers, he recently published a book and video series called Principles which is helping the next generation live a life based on their own principles. We believe our product, mission, and philosophy will help achieve this mission too. 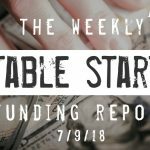 New York was the obvious choice for a financial services startup, and for an out-of-towner, the ability to connect with people doing so many interesting things makes the city, unlike any other place. Casa Enrique in Long Island City – Mexican like this makes it more than worth the trip.